I was curious to find out just how long I’ve been making this tasty snack. If you’ve been following my blog for awhile, you know that I’ve been cutting out and saving recipes from my favorite food magazines for over a decade now. Turns out this particular recipe dates back to the spring of 2011. Not only has it been a hit at dinner parties, but it’s also been tested and approved by our football Sunday crew. If it can survive a football Sunday afternoon with no complaints, it must be a hit! What will you need? Grated pecorino Romano cheese, mayo, freshly squeezed lemon juice, salt, pepper, red pepper flakes, canned white beans, artichoke hearts, frozen chopped spinach, cooking spray, and mozzarella cheese. Add 1/4 cup grated pecorino Romano cheese, 1/4 cup mayo, 1 teaspoon freshly squeezed lemon juice, a dash each of salt, black pepper, and crushed red pepper flakes, 2 garlic cloves, and one 15-ounce can of rinsed white beans to a food processor. Process until smooth. Drain one 14-ounce can of artichoke hearts, then quarter each heart. Thaw, drain, and squeeze dry 9 ounces of frozen chopped spinach. 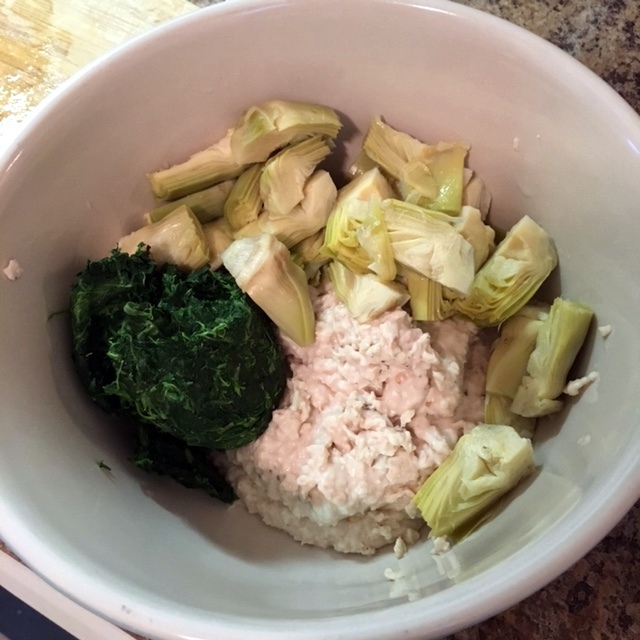 Add the white bean mixture, chopped artichoke hearts, and spinach to a large mixing bowl. Stir to combine and transfer to a 1-quart baking dish coated with cooking spray. 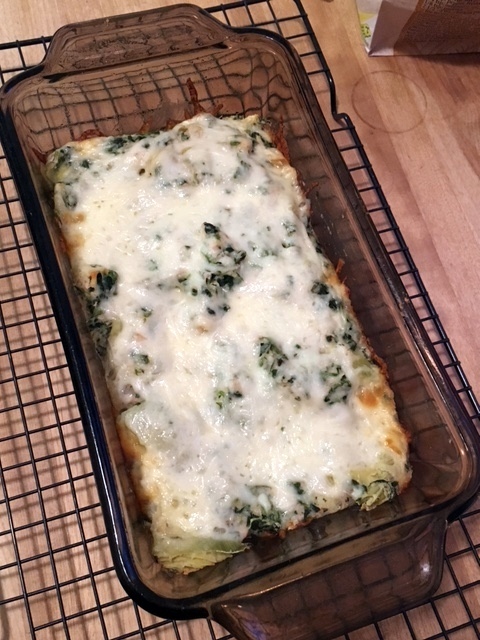 Top with 1/2 cup shredded part-skim mozzarella cheese. Bake for 20 minutes or until bubbly and cheese has melted. 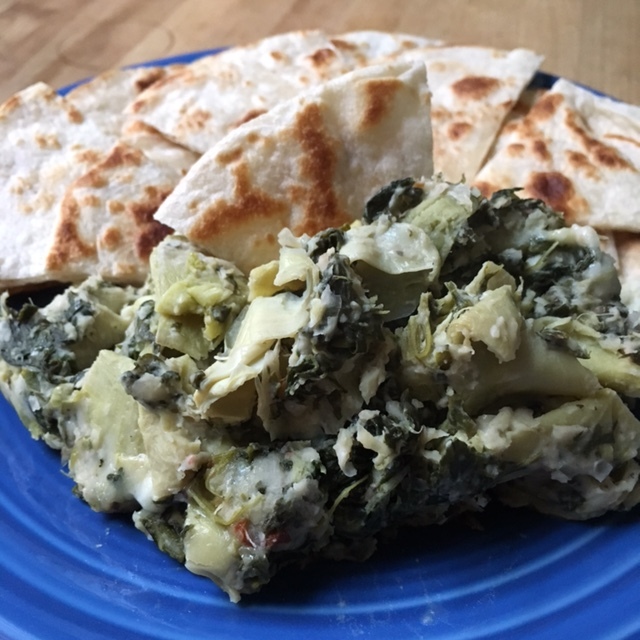 Serve with corn chips, pita wedges, veggies – whatever you prefer. Enjoy! 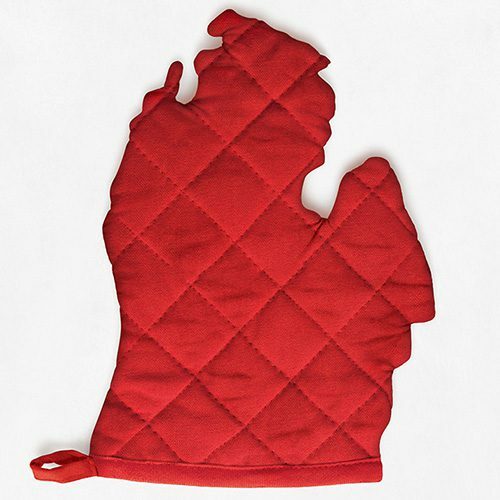 1) Start by preheating your oven to 350 degrees. Add 1/4 cup grated pecorino Romano cheese, 1/4 cup mayo, 1 teaspoon freshly squeezed lemon juice, a dash of salt, black pepper, and crushed red pepper flakes, 2 garlic cloves, and one 15-ounce can of rinsed white beans to a food processor. Process until smooth. 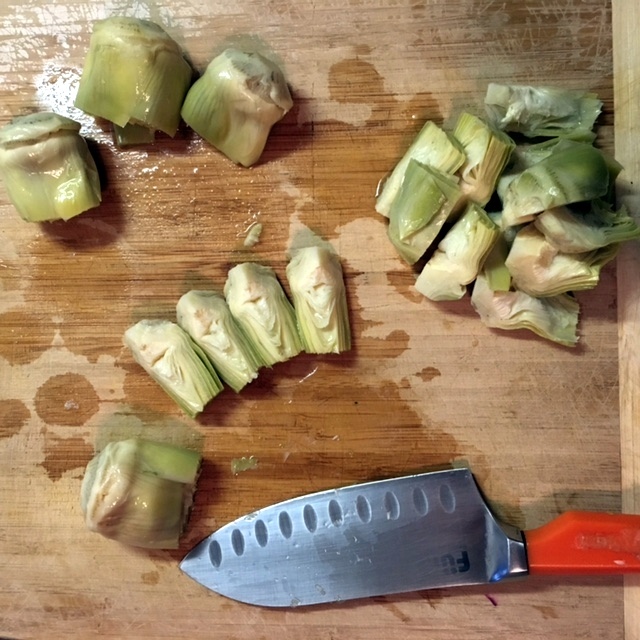 2) Drain one 14-ounce can of artichoke hearts, then quarter each heart. Thaw, drain, and squeeze dry 9 ounces of frozen chopped spinach. 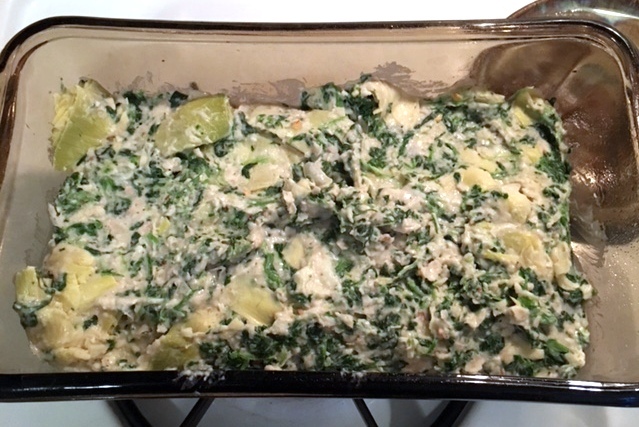 Add the white bean mixture, chopped artichoke hearts, and spinach to a large mixing bowl. Stir to combine and transfer to a 1-quart baking dish coated with cooking spray. 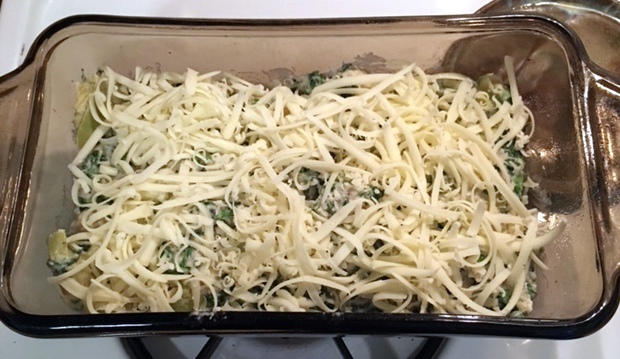 Top with 1/2 cup shredded part-skim mozzarella cheese. Bake for 20 minutes or until bubbly and cheese has melted. Next:Marta in Chicago…moved to Michigan!